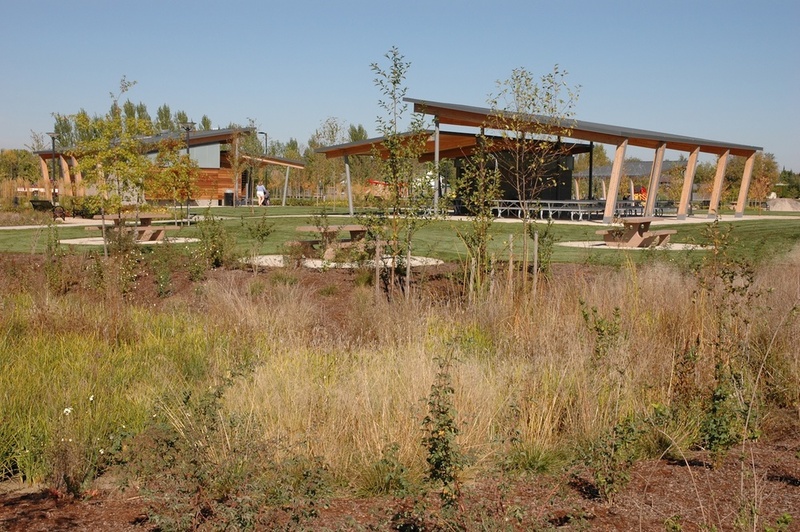 As part of a new 30-acre park in SW McMinnville, three new park structures are positioned to define an informal central plaza. 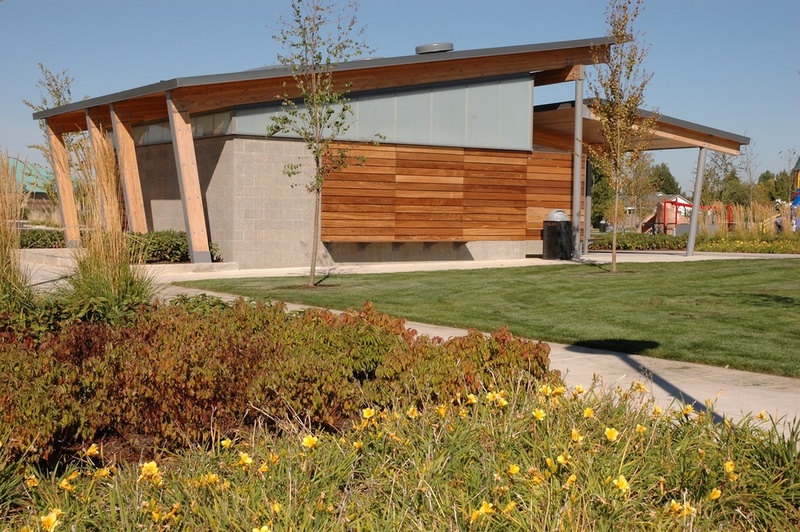 The new park shelters include restrooms, a concession and group picnic shelter, and a smaller freestanding picnic shelter. The new utilitarian shelters feature contemporary detailing and durable materials. 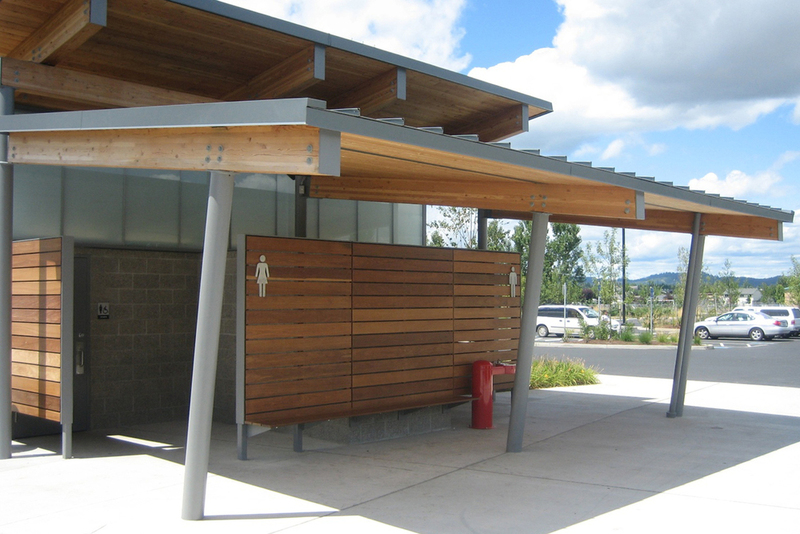 Ground faced concrete block is used for the service components, while wood post and beam construction floats above to form large sheltering roofs. 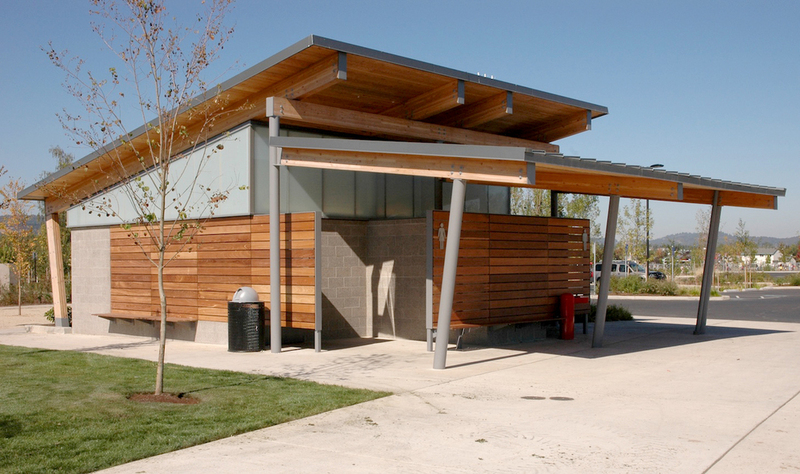 Laminated glass floats between providing exception daylight to the restrooms and concession area. 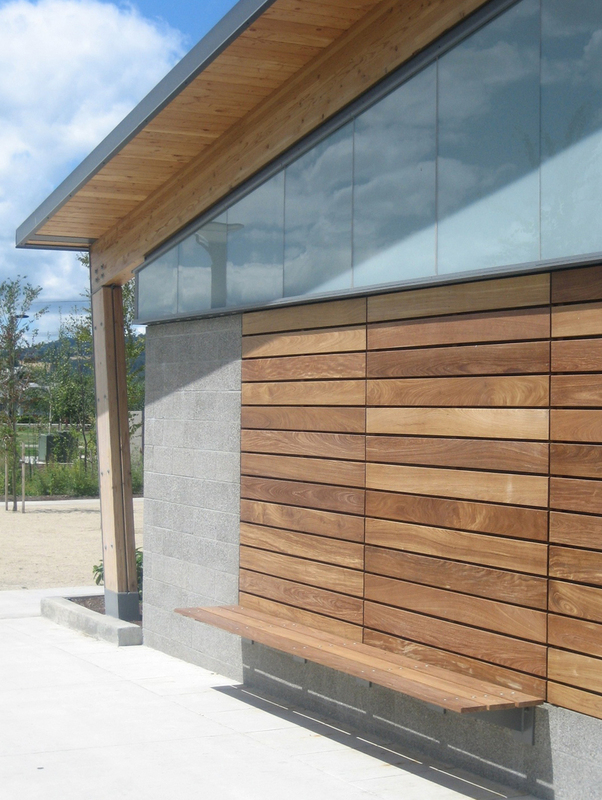 Ipe hardwood is used for screen walls, benches, and sliding panels to provide material warmth. Jeff Stern was the lead architect with opsis architecture.